Q: What are my first steps after I have been hurt on the job? A: As with any injury, the first and most important thing you need to do is get the medical care you need. Don’t try to shake the injury off—the care you receive in the immediate aftermath can be critical. In addition, the longer you wait to seek medical treatment, the greater the risk that your employer or the workers’ compensation insurance company will try to attribute the injury to some other cause. When you receive any medical treatment, make certain you tell the doctor you were injured on the job and ask the doctor to document everything in writing. Notify your employer as soon as possible, but no later than 30 days after the injury. If your employer or the insurance company asks you to sign anything, don’t do it unless you have an attorney present. Q: What happens if my claim is initially denied? A: This happens far more often than you might think, even when an injury seems obvious. If your claim has been denied, you can ask the Workers’ Compensation Board for a review, which will typically be done without a hearing. If the Board cannot resolve the dispute (they don’t have enough evidence, for example) or if you don’t get the result you believe you are entitled to, a hearing may be scheduled with a workers’ compensation law judge. The judge will typically take testimony, review physical evidence and render a decision. The judge’s decision is subject to appeal by either party, but the appeal must be filed within 30 days. The appeal will initially be heard by a panel of three members of the Workers’ Compensation Board. That decision may be appealed to the full Board. Either party may appeal the decision of the full Board to the Appellate Division, Third Department, Supreme Court of the State of New York. 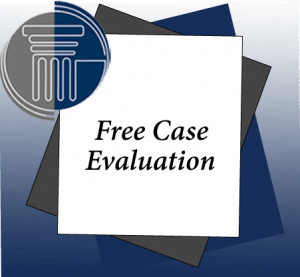 Q: Can I reopen a workers’ compensation case after a final determination? A: Yes. If the Workers’ Compensation Board accepted your case, you have up to 18 years from the date of the accident to reopen it and ask for a new determination. For example, this may be done because of further deterioration in your condition, or to pursue compensation for new medical expenses. Q: What is voluntary withdrawal of a workers’ compensation claim? A: Under the New York workers’ compensation laws, if you have a partial disability, you must look for employment, even if you cannot perform the tasks required for your previous job. If you fail to do so, your employer or the workers’ compensation insurance company may ask the court to terminate your benefits. We offer more than 50 years of combined workers’ compensation experience to injured workers across the NYC metropolitan area, including the borough of Queens. We built our practice on a commitment to the highest levels of personal service and attention, making certain we learn the details of your injury, so that we can fully protect your rights. We work closely with colleagues in the legal profession, offering our experience, skills, knowledge and resources to your clients who have been hurt on the job.